For more than 30 years, Cienta has been dedicated to the manufacture of high-end vulcanized footwear for children. 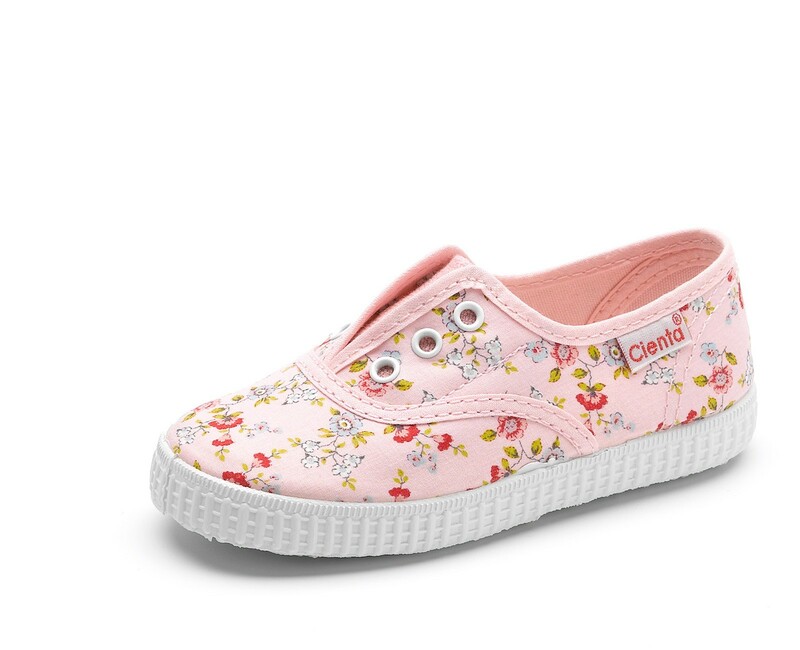 The Zapatilla Ingles Flores Florencia is made with natural cotton and rubber outsole. This girls camping shoe has an elastic closure to ensure a greater hold and is very easy to put on and take off. It is a classic model and perfect for any occasion available in different prints. It is a comfortable design and we are sure that they won’t want to take them off. Available in a wide range of colours for you to choose the one you like the most, get yours today!